Kendal at Oberlin offers a wide range of aquatic and land exercise programs designed especially for older adults. The Fitness Center includes an indoor 4-lane lap pool and warm water therapy pool, classroom space and a new exercise room with state-of-the-art equipment. All venues overlook beautiful natural spaces, making exercise something to look forward to. Full use of the Fitness Center is open to all Kendal at Oberlin residents and Kendal at Home members at no additional cost. Classes are also open to community members, for reasonable fees, if space is available. Your Heart is Your Hardest-working Organ. Get the FREE Heart Health Guide Today! The emphasis is on continued wellness, and creating opportunities for everyone to stay as fit as possible. As so many studies have shown, this is a critical step in maintaining healthy independence for older adults. Kendal at Oberlin’s Fitness Center staff specializes in helping people customize a wellness program that fits their individual needs. The short videos that follow highlight some of the activities that are available to residents and others. We also offer personal training, fitness assessments and wellness assessments. For detailed information about Fitness classes at Kendal at Oberlin, including schedules, email Jill, or call at 440-775-9851. 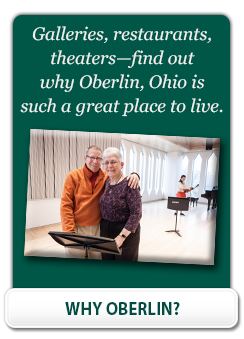 To schedule a tour of our life plan community, including our fitness resources, contact the Kendal at Oberlin Admissions office.